On January 31st, the UNHCR released The Zero Draft of the Global Compact on Refugees. Building on the Comprehensive Refugee Response Framework adopted in the New York Declaration for Refugees and Migrants (2016), the Zero Draft presents the program of action – stressing the importance of a multi-stakeholder approach, engaging global partners (UNHCR, the EU), national governments, networks of cities and municipalities, civil society organizations, faith-based organizations, public-private partnerships, and a global academic alliance. 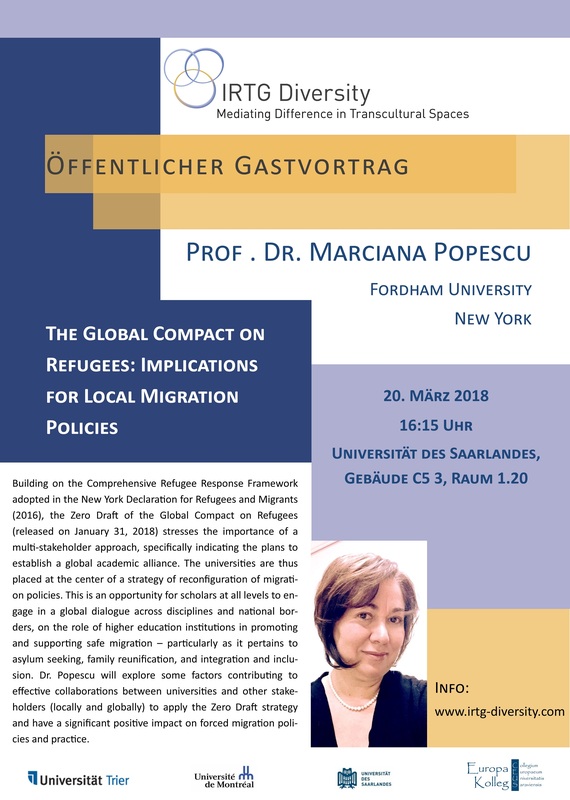 The role of universities, as active participants in shaping global, national and local migration policies was thus recognized and directly integrated in the proposed program of action. Through research, training, and advocacy, as well as policy practice, universities can be a safe space, changing the migration discourse and challenging undercurrents of nationalism and xenophobia. At a local level, universities can generate data, and work on specific aspects of policy implementation, fostering an evidence-based approach that promotes best practices. Education is a central strategy in this plan of action, with specific guidelines in regards to facilitating and increasing access to education for migrant children (asylum seekers and refugees), promoting innovative programs that will address some of the ongoing barriers (such as language, documentation, psychosocial trauma), and recognizing existing capacity, by either providing migrants with access to secondary and tertiary education, and/or engaging teachers, and researchers among refugees in educational initiatives. ::- How do global policies shape national and local strategies, particularly in regards to family reunification, inclusion and integration, and overall safe migration? ::-What are some the local factors contributing to effective engagement of universities in providing innovative solutions to specific migration challenges? ::-What are some of the best practices of university partnerships, and how do their outcomes shape migration policies?